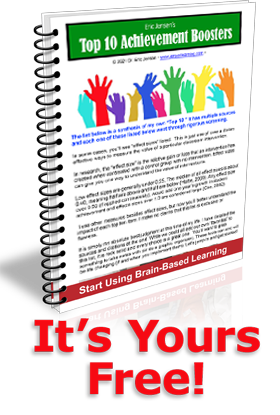 1 What is Brain-Based Learning? Research in related fields such as social neuroscience, psychoimmunology, behavioral genetics, psychobiology, cognitive science, neuroscience and physiology also play a role. Brain-Based Learning is also the application of a meaningful group of principles that represent our understanding of how our brain works in the context of education. Brain-Based Learning is simply the engagement of strategies based on body/mind/brain research..
Brain-Based Learning is not a panacea or magic bullet to solve all of education’s problems. Anyone who represents that to others is misleading them. There is not yet a “one size fits all” brain-based program, model or package for schools to follow. 2 What Does a Brain-Based Teacher Do? A brain compatible teacher teaches with the brain in mind. This educator understands the principles and uses strategies in a purposeful way. This path is all about an educator who understands the reasoning behind their teaching. It is also one who stays constantly updated through continuous professional development. Evidence suggests that stress is a significant factor in creativity, memory, behavior and learning. Teachers who purposely manage stress factors (purposefully decrease or increase stress) in class are likely to experience a positive classroom environment. There are many ways to decrease stress in the classroom, such as integrating stretching exercises, incorporating recess, teaching coping skills, and utilizing physical education. Brain-based teaching is all about smarter, more purposeful teaching that can reach a greater number of students. It’s not any one single thing you do. It’s more about the on-going, purposeful aggregate of environment, instruction and curriculum strategies that makes it all work. One of the best ways to learn about it is through participation in one of the Jensen Learning Brain Based Learning Workshops. Why? Eric Jensen is one of the few presenters that actually practices what he preaches. You will get to see, hear and experience the actual strategies in action. This not only allows you to see HOW to do it, but lets you decide whether it’s for you or not. To find out more check our Brain-Based Learning bookstore or check out our Brain Based Learning blog.